Bout ye! We bid ye welcome tae Ulster-Scotch Online where we scrieve the aul tongue an leid alang wi promoting an fostering understanding of it`s attendant music, history, culture and heritage. We are primarily focused on Northern Ireland and and the border Counties of the Republic but also across the island of Ireland and especially the various Irish and Scotch-Irish diasporas around the world..
We have just updated the website with new software to resolve some ongoing problems with the old software. However all users and passwords should be carried across. Please let us know what you think of the new look and please be aware it is still a work in progress in terms of aesthetics, with logos and links and such like still to be implemented. Expect the blog to be more active with working software and a new blogging team asweel. Speaking o which, anyone interested in blogging on Ulster-Scotch Online please drop us a line. Upcoming Events: Click to View or Add Event. Feel free to add any upcoming events. Please note that the software uses the American date format of Month/Day/Year and not the Day/Month/Year format. Please feel free to come into the forums for some discussion. You can also add your own comments to any articles you see here by clicking where it says "comment" at the bottom of an article. Please also feel free to subscribe to the Yahoo email group / forum. Please be advised that this is a high load email list and you are advised to set an email filter to filter to a new `ulster-scots` folder so as not to clog your inbox (alternatively you can alter settings at Yahoo to receive a daily digest or read soley via the web ). If you live outside NI then you can receive a copy for free by emailing the Ulster-Scots Agency with your name and address requesting to be added to the Ulster-Scot mailing list! A spectacular calendar of events will mark Scotland's first-ever Homecoming year and all Ulster-Scots are invited! Homecoming Scotland 2009 will celebrate some of Scotland's great contributions to the world (golf, whisky, ancestry, great minds and, of course, Robert Burns) with a year-long country-wide programme of exciting and inspirational events and activities. The festivities begin on January 25, the 250th birthday of one of Scotland's most famous sons - national poet Robert Burns, and will run until St Andrew's Day (November 30). Kilsally - 18:12:32 - General - permalink - Add comment! 2009 marks the 250th anniversary of the birth of Robert Burns, the bard of Scotland and the Scottish Government is using it as part of the Homecoming 2009 initiative which seeks to foster Scottish emigrant links. A delegation from Visit Scotland were in Northern Ireland last week promoting Burns events in the Province in an effort to coordinate a record number of Burns suppers. The Ulster-Scots Agency and Visit Northern Ireland are also helping organise a plethora of events in the coming weeks, including the Belfast-Burns 250 Programme. The American Folklife Center in Washington will be holding a Symposium at the Library of congress in February. Kilsally - 21:19:56 - Ulster-Scots - permalink - Add comment! Willie Drennan at his new book launch in Belfast regarding the historical and cultural links between Ulster / Northern Ireland and South West Scotland. Music by `A Wheen o Fowk` and a foreword by Mark Thompson, head of the Ulster-Scots Agency. THERE are few forums in Northern Ireland that bring together groups as polarised as the Orange Order and the Gaelic Athletic Association. But at the Smithsonian Folklife Festival they will be rubbing shoulders as part of a unified bid to sell the Province as a must-see destination for travelling Americans. Delegates from the Grand Lodge and the GAA will be among around 150 representatives from all walks of life who will tell Americans what ‘Norn Iron’ is really like. It’s not just a hard sell that’s driving the local contingent at the festival but also the desire to put across a picture of all aspects of life here, in all its rich tapestry and texture. It’s about reaching beyond the outdated stereotypes generated by years of the Troubles and celebrating a new Northern Ireland, whose divided society is slowly but surely coming together. Representatives from the linen industry, Harland and Wolff with its links to the Titanic legend, genealogists and mummers – Ulster Scots story tellers – will join historians, musicians, artists, craftmakers, chefs and even farmers to stake their place at the festival. the Order will be found among the countless items on display in Washington, not too far from sports equipment used on pitches by the Comhairle Uladh Cumann Luthchleas, or the Gaelic Athletic Association. Figures like Orange Order Grand Master Robert Saulters will encourage Americans to take in a parade during any future sojourn to Ulster, while Gavin Duffy, hurling stick maker from Belfast, will be on hand for a demonstration of his craft. Musicians like The Low Country Boys will provide a flavour of Ulster-Scots sounds, while Armagh musician Roisin White will perform a traditional Irish repertoire. Steps, jigs and reels from the fast-moving feet of dancers representing both the Irish and Ulster-Scots traditions will add movement to the festival. Other participants include Islandmagee milliner Maureen Patterson and bodhran maker and bog oak sculptor Eamon Maguire, from Belfast. 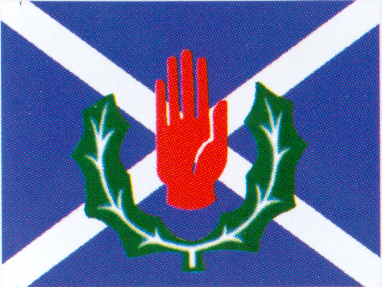 Kilsally - 02:16:47 - Ulster-Scots - permalink - Add comment! THE Ulster-Scots Heritage Council officially opened its new city centre offices in Belfast yesterday. The premises at Franklin House on Brunswick Street were opened by Lord Mayor Pat McCarthy and other guests included the new Minister for Culture, Arts and Leisure, Edwin Poots as well as the Minister for Enterprise Trade and Industry, Nigel Dodds. Director of the Ulster-Scots Heritage Council, William Humphrey said the new offices represented a tremendous opportunity for the Ulster-Scots community. "The development heralds a new dawn for Ulster-Scots. For the first time the Ulster-Scots Agency, the Ulster-Scots Language Society and the Ulster-Scots Heritage Council will be based in the same building," he said. The Agency's chief executive, George Patton said the new offices would be like a "one stop shop" for the Ulster-Scots. "The Ulster-Scots Heritage Council as the representative body of the Ulster-Scots community plays a pivotal role in representing the grassroots opinions and concerns of the Ulster-Scots community," he said. Kilsally - 02:15:44 - Ulster-Scots - permalink - Add comment!